Approximately two months ago, President Obama’s Science Advisor, Dr. John Holdren spoke in a video titled The Polar Vortex Explained in 2 Minutes in which he explained that the poles’ temperatures are warming and that the middle latitudes are in fact, warming. Dr. John Holdren explained that the temperature difference between the poles and mid latitudes is decreasing so this has led to what is called a circumpolar vortex, which is a counterclockwise swirling of cold air. Also, since the cold air swirling will then start getting warmer based on its location, this causes the vortex to have “waviness” which will make the northern regions of the globe warmer and the southern regions of the globe cooler. Computer models aided in this simulation to find contributing factors. Dr. John Holdren mentions that the computer models are still experimenting, but ends the video by stating: “I believe the odds are that we can expect as a result of global warming, to see more of this pattern of extreme cold in the mid latitudes and some extreme warm in the far north”. 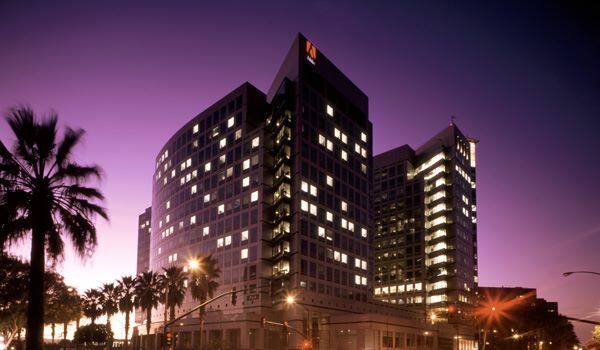 In addition, Adobe even tracks over 30,000 data points on energy usage and critical operations. Adobe’s commitment to the environment is legendary for the corporate world. In an area of relatively poor air quality, it is refreshing to see Adobe’s headquarters which are revolutionary, awe-inspiring and clean. Tracking Your Waste and Recycling for LEED is Easy! We all want to prevent waste – in our daily lives and on more substantial levels. Diverting waste, being environmentally friendly, and being efficient with time, money, and resources: these are important goals. And that’s what green construction is all about. Green construction includes diverting waste at construction sites as well as over the life time of a building. Green companies don’t just think about the immediate impact today, they also consider what impact is made tomorrow. There are many factors such as waste prevention, government mandates, cost effectiveness, materials used, constructing methods, environmental threats and more that form the Green Building sector. Many architects and builders are interested in sustainability and “going green.” It’s rare to find an architect who specializes in green building and also has the necessary background and experience that goes along with the title of being eco-friendly. With the launch of Green Planet Architects those in the sustainability and development sector can connect with one another through the first international network of sustainable architects. The site prides itself in empowering those who prefer to go the eco-minded route, while also making this planet a greener place for all of us to enjoy! Don’t forget to visit our website to see how you can recycle today’s resources for tomorrow’s generations! Jan. 17 – Could this be the high-tech toy of the future? Anki Drive is an iPhone controlled car racing game. Players can not only outrun their opponents, but also fire imaginary weapons at them. The entire racing game can be customized from the race car performance characteristics to the weapons that each car can use.